Engaging your customers in an entertaining quiz allows VisualDNA to understand their motivations, interests and personalities. This means actionable insight to help grow your business, whatever your industry. Partnerships with leading academic institutions and our team of 8 psychologists ensure that our quizzes offer reliable, relevant insights. We use data science to measure what matters to your business, from measuring employee performance to predicting consumer and financial behaviour. VisualDNA solutions range from fast, affordable insight to custom-built packages to suit your business. 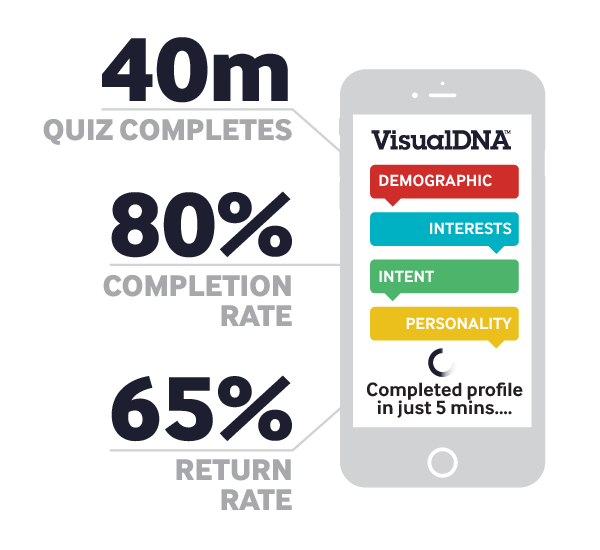 Over 40m people have taken a VisualDNA quiz without any paid incentive. More than 70% of quiz-takers are reached through viral spread, conclusively showing that people enjoy and endorse our quizzes. Rich, personal feedback drives participation, with our quiz completion rates typically between 76 – 80%. Accessible from any site or device, our quizzes offer valuable insight to the individual and reliable consumer profiles for you. Our extensive data science team use statistical modelling to link data metrics with the outcomes most relevant to your business, giving you actionable insight into the things you care about. VisualDNA makes it easy to act on our insight. We don’t just tell a bank that there’s a 30% chance of a person meeting their mortgage repayments; we help the bank offer the most relevant products to customers with confidence, based on true understanding of their financial behaviour. 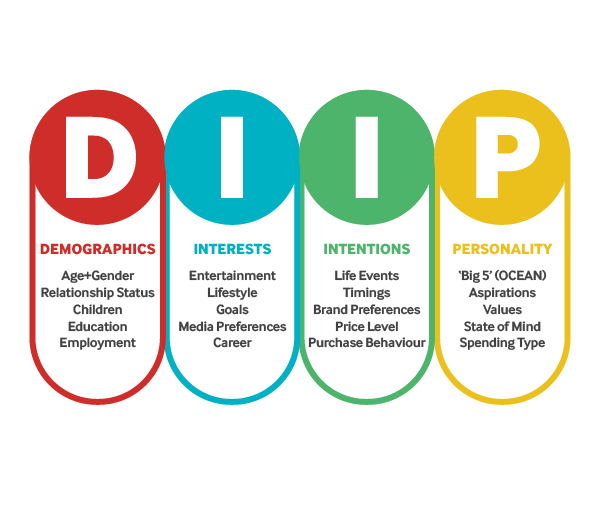 Compatible with a range of analytics, CRM and ad targeting platforms, you can integrate deep consumer insight easily and effectively. 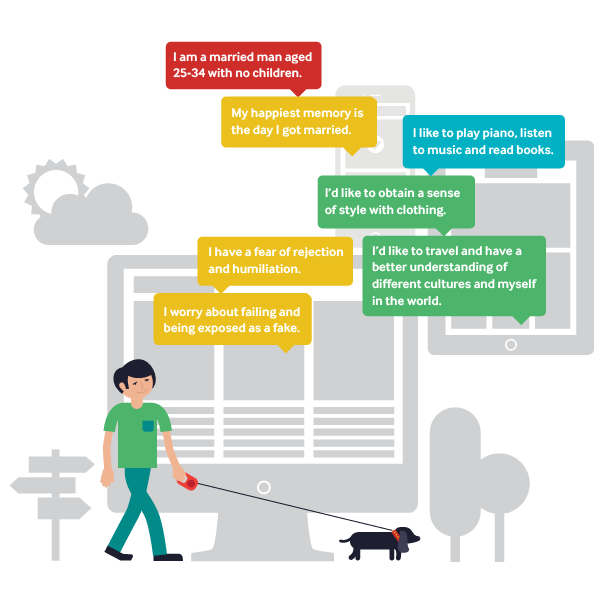 VisualDNA Consumer Profiles have delivered rich insights for leading brands across multiple industries. 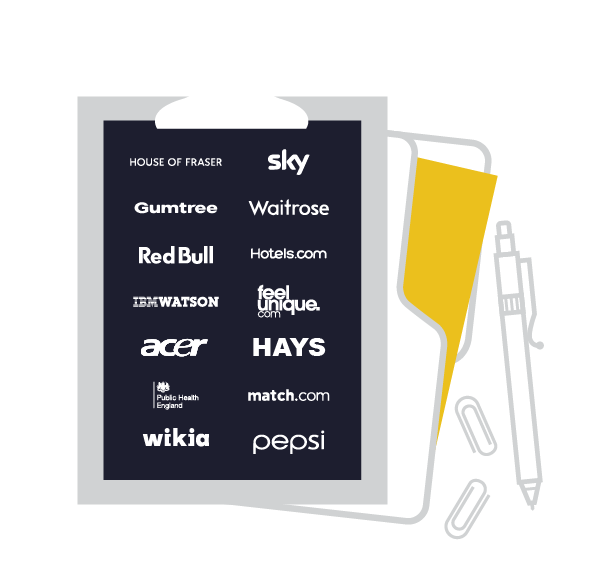 Take at a look at our case studies page to see examples of our quizzes in action. Speak with one of our Profiling for Talent Management specialists who will take you through our solutions.